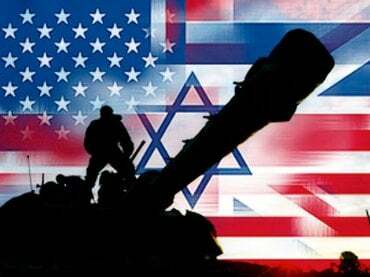 Human Rights an Issue in US/Israeli Relations? US Aid Finances Gross Violations? The State Department reportedly asked US Middle East embassies to assure aid isn’t given to foreign militaries involved in human rights abuses. The above sounds more like fiction than reality. No militaries anywhere violate human rights more egregiously than America’s and Israel’s. It’s gone on throughout the entire history of both countries, countless millions harmed by their high crimes of war and against humanity, their use of chemical, biological, radiological, and other banned weapons, their contempt for rule of law principles, their disdain for the rights of invented enemies. Israel’s self-styled world’s most moral army is one of the most ruthless. Its war crimes and other human rights abuses are rife. Its so-called “robust system of investigation and prosecution” consistently whitewashes flagrant abusiveness time and again. America and Israel partner in each other’s Nuremberg-level high crimes, accountability never forthcoming. Both countries flagrantly violate the laws of war and other fundamental human rights. When it comes to Israel, the Saudis, and other US allied flagrant human rights abusers, the above laws don’t apply – no matter how lawless their practices. Israel has a well-documented appalling human rights record. Yet it gets billions of dollars in US military aid annually, including state-of-the-art weapons, munitions and technology, more on request – along with special benefits afforded no other countries. Every US administration along with virtually the entire Congress, bureaucracy, and major media support Israel, ignoring its high crimes, blaming victims for its brutality inflicted on them. Alleged State Department concern for human rights is a ruse, especially with neocon extremist Mike Pompeo in charge as secretary of state – an unindicted war criminal, an assassin and torturer as CIA director. Israel and other US allied rogue states are immune from accountability no matter how flagrant their high crimes and human rights abuses. The above cited US laws and alleged State Department concern for human rights don’t apply to them.